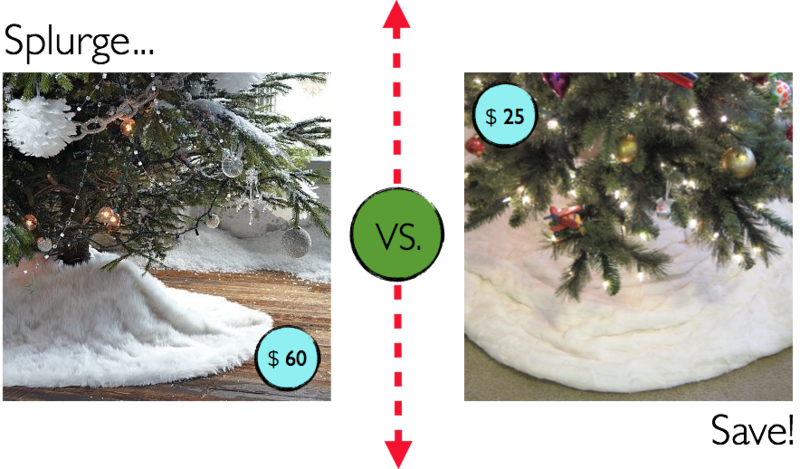 In this installment of "Splurge vs. Save" I have a cute Christmas tree skirt idea for you! Faux fur is all the rage right now, so why not skirt a tree with it?? Especially with a pretty white faux fur that will make your tree look like it's sitting in a fresh pile of soft snow. 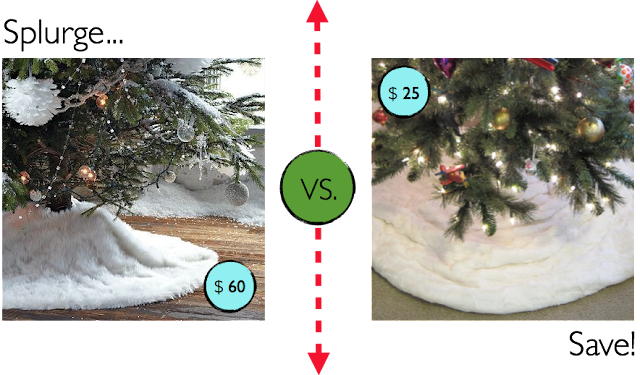 Even better, the "save" tree skirt option from Target is a blanket, so it has multiple purposes. 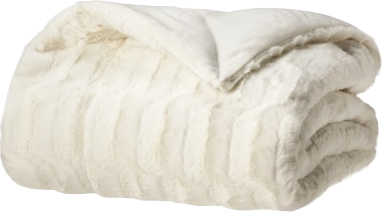 You may be a little torn between using it as a throw on your sofa or using it as a tree skirt, because it's oh so soft and cozy. Heck, you could solve that problem by buying two blankets...and your bill would still be less than the "splurge". I want to snuggle it!! !